JJ Hanrahan comes on for Munster. Ian Keatley leaves the field. Munster decide to make a substitution, with Kevin O'Byrne getting some game time. Munster decide to make a substitution, with Rhys Marshall being replaced. Munster make a substitution with Darren O'Shea coming on. Munster make a substitution with Jean Kleyn coming off. There wasn't enough power on that conversion attempt by Ian Keatley as it drops short of the posts. Chris Baumann comes on for Leicester. Dan Cole leaves the field. Nobody could stop that maul! Chris Cloete places the ball down for the try. The Leicester pack has powered over for Harry Thacker to score the try. Ian Keatley has hooked the conversion to the left of the posts. 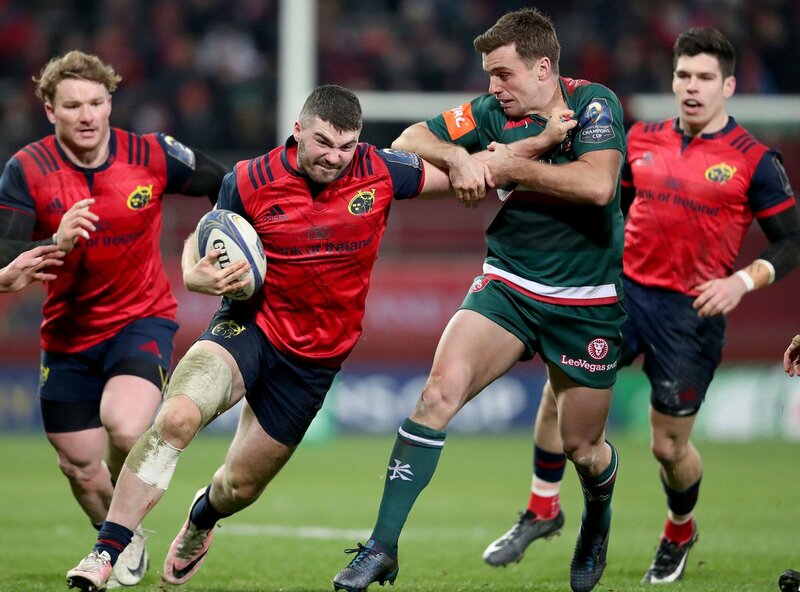 What a run here by Peter O'Mahony as they gets over the gainline!. Darren Sweetnam played a key part in that try. 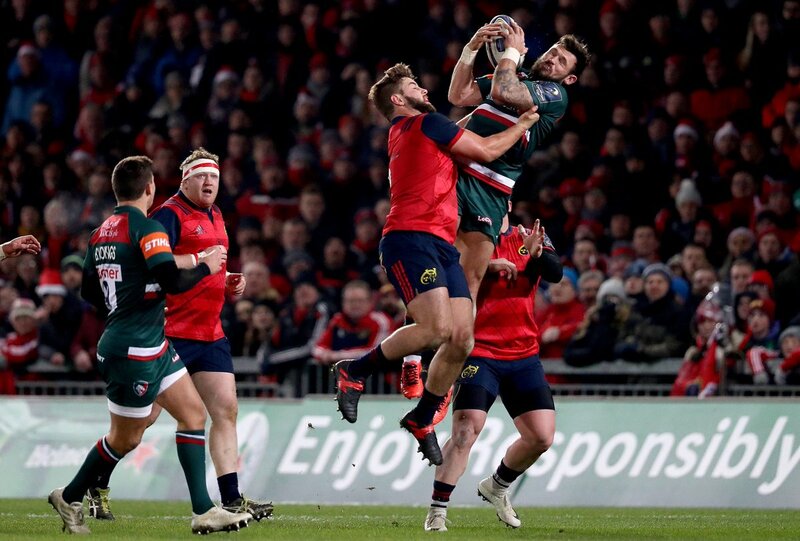 A series of passes by Munster results in a try for Peter O'Mahony. Munster decide to make a substitution, with Brian Scott getting some game time. 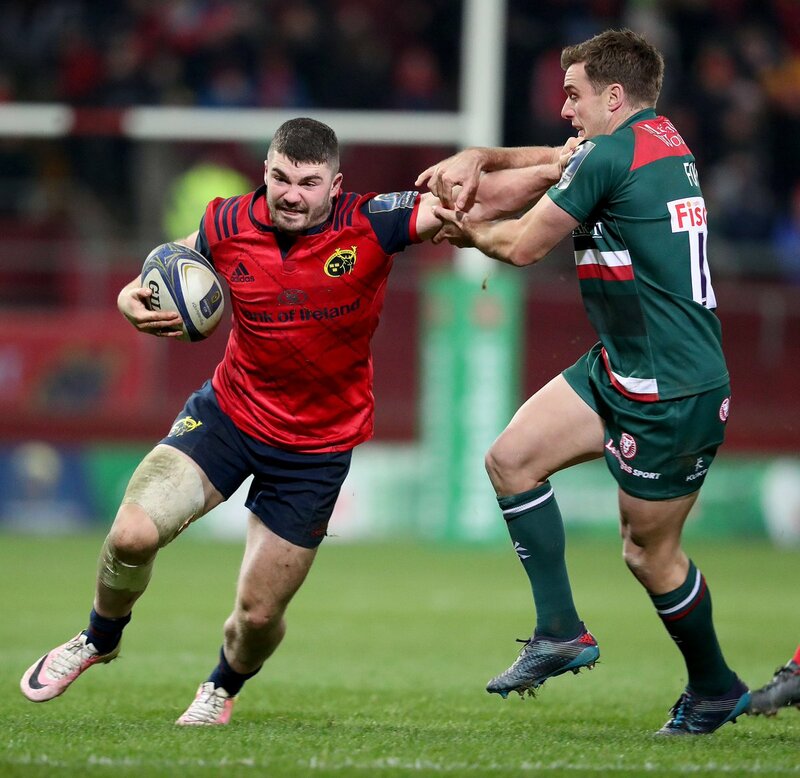 Munster decide to make a substitution, with Dave Kilcoyne being replaced. Leicester make a substitution with Michael Fitzgerald coming off. Alex Wootton makes the break as the defence re-enacts the parting of the red sea. Valentino Mapapalangi has made 10 good tackles so far this game. Darren Sweetnam comes on for Munster. Andrew Conway leaves the field. 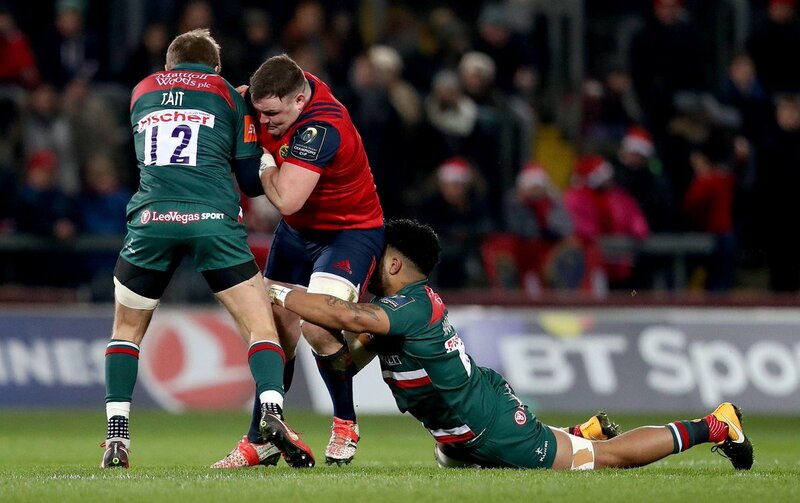 Fabulous play by Munster has led to Simon Zebo being able to wriggle through a gap. That's a great try assist by Ian Keatley. The kick through from Munster has allowed Simon Zebo to touch down. Ian Keatley has kicked a conversion. Trouble here as Rhys Marshall breaches the defence. Great hands by Munster leads to a try for Rhys Marshall. The defensive line has been broken as Telusa Veainu goes through the gap. 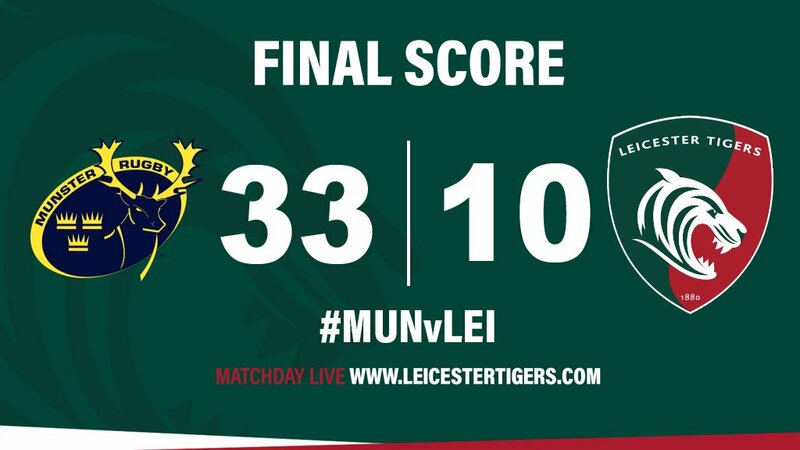 Hear from @IanKeatley following tonight's superb bonus-point win over Leicester Tigers. 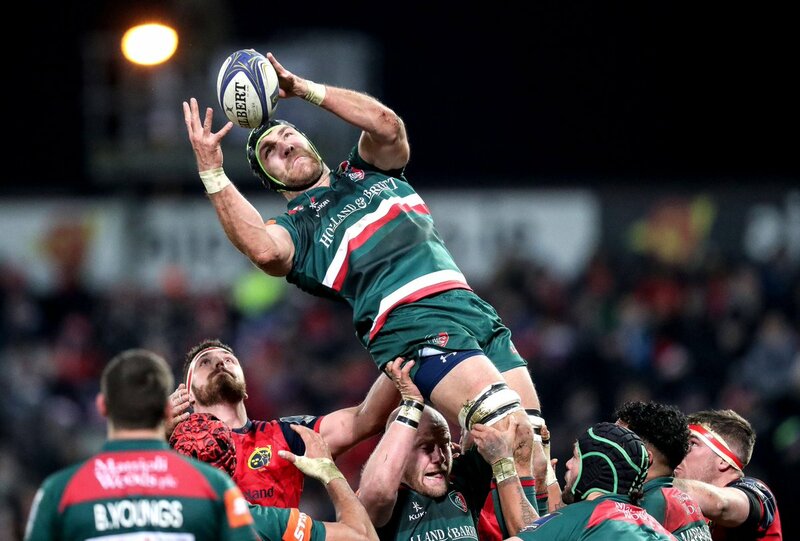 Another great European night at @ThomondStadium as we defeat Leicester Tigers 33-10!